Media Player Classic Free Download Latest Version for Windows. 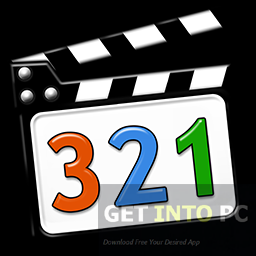 It is full offline installer standalone setup of Media Player Classic for 32 bit 64 bit PC. With the introduction of numerous multimedia formats you need to have an application that can support all or bunch of these formats so that you don’t need to install multiple players for multiple file formats. Media Player Classic is on such player that will fulfill your requirements. Media Player Classic or MPC is a lightweight media player that can supports almost all popular media formats. The interface of Media Player Classic is simple and looks same as that of Windows Media Player. But this seems the only common thing between Windows Media Player and Media Player Classic as the later is more powerful and can work with any format that you can think of. There are numerous features added in this media player which you won’t find in Windows Media Player. The interface has the minimum possible button that are required to play your videos. The buttons include Play, Pause, Forward, Reverse, Stop etc. However right clicking on the menu bar will reveal more advanced options which includes subtitle manager, Navigation controller, Windows resize etc. I personally prefer VLC Media Player which is another great alternative opensource media player. Media Player Classic also supports videos with multiple audio tracks and it can also support DVD playback. Video frames can also be captured which you won’t find in Windows Media Player. 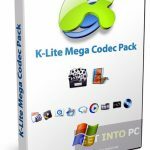 With all those features and a great support for different file formats Media Player Classic is still very simple in its looks and the installation process is also very quick and simple without any hiccups. On a conclusive note we can say that Media Player Classic is a very simple yet powerful media player which can play almost all kinds of media under one hood. Below are some noticeable features which you’ll experience after Media Player Classic free download. Simple yet powerful media player. Supports almost all media formats. Resembles Windows Media Player in looks. Supports videos with multiple audio tracks. 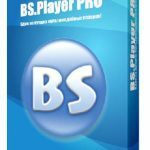 Before you start Media Player Classic free download, make sure your PC meets minimum system requirements. 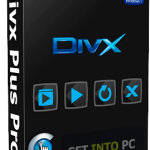 Click on below button to start Media Player Classic Free Download. This is complete offline installer and standalone setup for Media Player Classic. This would be compatible with both 32 bit and 64 bit windows.